Happy Mother’s Day to Mothers from Dumb Guys everywhere! 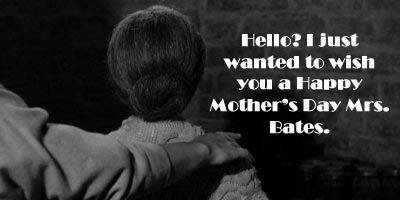 I’ve already called and wished my very understanding Mother a Happy Mother’s Day, so I also wanted to wish another random Mother a Happy Mother’s Day, too. Angie, may I call you Angie? Happy Mother’s Day. Also, a little Mother’s Day chuckle from a classic film. Seriously, let your Mom know how special she is. Thanks for reading!